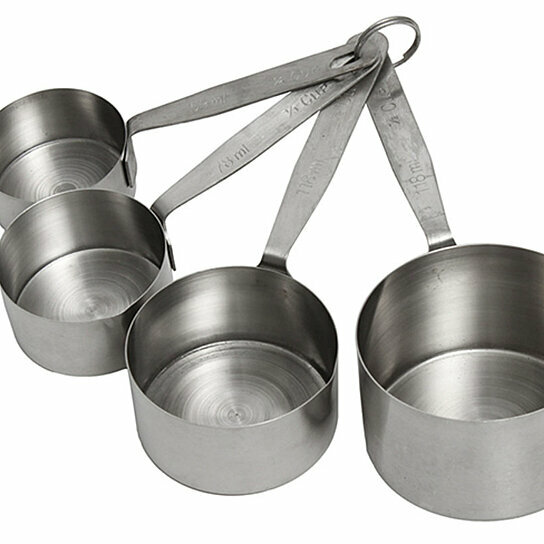 Measuring Cup Set Heavy Duty Stainless Steel Includes 1/4, 1/3, 1/2 and 1 Cup Measures. Warranty: 1 Year. Country of origin: India. Measuring Cup Set Heavy Duty Stainless Steel. Includes 1/4, 1/3, 1/2 and 1 Cup Measures.